There's hasn't been a Billboard hit Christmas song since Mariah Carey's "All I Want for Christmas is You." It's time for something new. 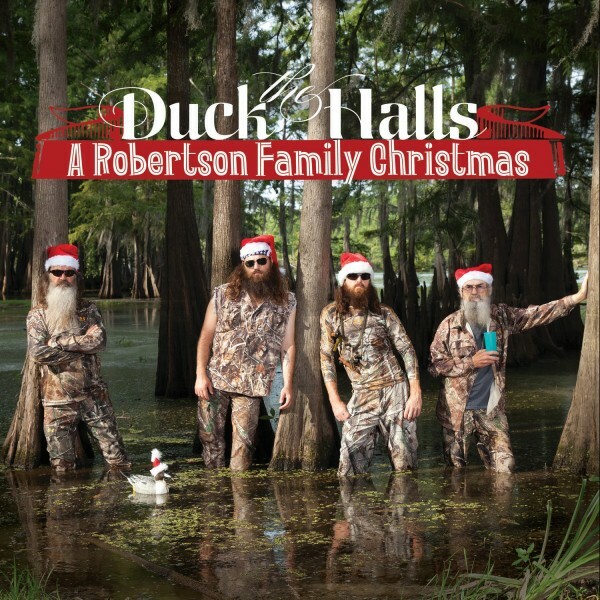 "Duck the Halls: A Robertson Family Christmas" is not destined to be a Christmas classic, but it is respectful of the holiday. If Billboard made a similar compilation of popular Christmas songs written after 1989, what would be on it? Mariah Carey’s “All I Want for Christmas Is You,” and that’s all. It’s at No. 1 on Billboard’s Holiday Digital Songs chart this week. At this writing, it’s also at No. 1 on the Holiday page of the iTunes Store. But if that irresistible candy cane of a love song, co-written by Carey and Walter Afanasieff, were a candy, uh, man, he’d be old enough to vote now. “All I Want for Christmas Is You” came out in 1994. It is, if anything, more ubiquitous now than it was then. At this time last year, a delightful video of Carey performing the song for Late Night with Jimmy Fallon while Fallon and the Roots and four moppets played and sang along on toy instruments renewed its cachet. When Michael Bublé and CeeLo Green elect to cover the same tune, it can safely be called a standard. But what else? There hasn’t been another original holiday single in the 19 years since “All I Want for Christmas Is You” that’s had anything close to that song’s commercial or cultural impact. Despite the gigabytes of Christmas music released each year — big stars making their first charge into the yule breach this year include Kelly Clarkson, Mary J. Blige, and, alarmingly, the cast of Duck Dynasty — they are, overwhelmingly, reiterating yuletide warhorses. It’s up to you whether you’d rather hear Clarkson or the Robertsons of Duck Dynasty do “Baby, It’s Cold Outside,” but both options are available. What gives? Where are the new Christmas standards? The release of holiday-themed material may no longer be de rigueur in artists’ recording contracts, but it isn’t as though big pop names have stopped writing Christmas songs. It seems we’ve just stopped embracing them. Lady Gaga released “Christmas Tree,” which she wrote with Martin Kierszenbaum and Space Cowboy, in 2008. It’s wretched, but at least it wasn’t another cover of “Santa Baby.” Coldplay’s “Christmas Lights,” from 2010, is terrible, too, but you’d expect them just to do “Happy Xmas (War Is Over),” right? Gaga and Coldplay are two of the biggest acts of the 21st century. Do you remember either of those songs? Or Brad Paisley’s “364 Days to Go” from 2006? Or Justin Bieber’s “Mistletoe” from only two years ago? Or the New Pornographers’ “Joseph, Who Understood?,” from 2007, which spares a thought for a guy who might not have found the Immaculate Conception quite so miraculous? That New Pornographers song, at least, is terrific. But none of those had the cultural penetration of Christmas pop originals from the generation before: Paul McCartney’s beloved and despised “Wonderful Christmastime” (1979) or Wham!’s feather-haired “Last Christmas” (1984) or Run-D.M.C.’s simply unfathomable “Christmas in Hollis” (1987). Love ‘em or hate ‘em, these songs get played year after year, and they all came from artists who were at or near the height of their fame when they released them, as Gaga and Coldplay and Paisley and Bieber were when they released theirs. The yule canon, it seems, isn’t just closed — it’s a location-undisclosed black site that’s locked down tighter than Santa’s workshop. 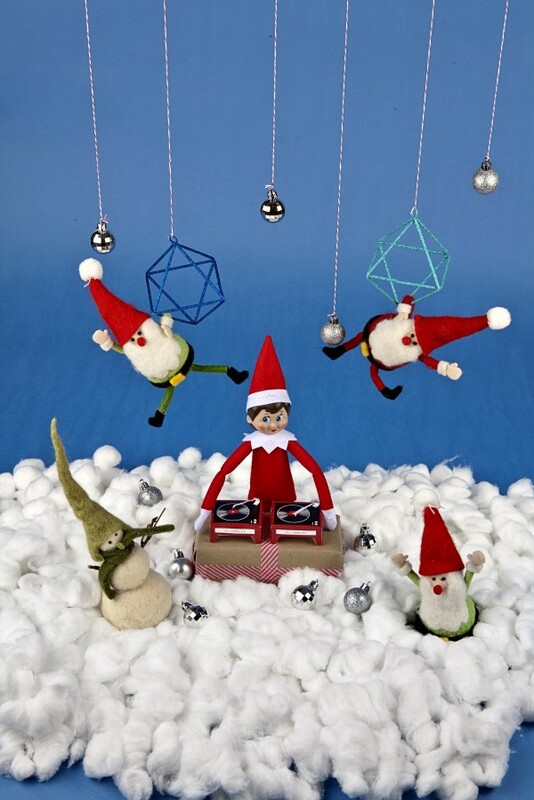 In 2006, when the American Society of Composers, Authors and Publishers released a list of the most-performed holiday songs in the U.S., the newest song to crack the top 10 was “Jingle Bell Rock,” from 1957. The most recent song in the top 25 was “Do They Know It’s Christmas?” an all-star charity single from 1984. It makes sense, sort of, that during the nostalgia-drunk holiday season, people crave old songs. But nostalgia is a deeply strange and deceitful concept. We needn’t have lived through the era of Polaroid or vinyl or Phil Spector’s Wall of Sound to feel comforted by our modern simulations of these antiquated cultural totems. And nostalgia and Christmas, at least in its secular observance, are inextricably linked. No wonder the best of this year’s new Christmas records sound sort of old. Clarkson’s Wrapped in Red marries the bounce of “All I Want for Christmas Is You” to the style of the classic A Christmas Gift for You From Phil Spector, first released the same day President Kennedy was assassinated in Dallas. Of “Wrapped in Red’s” five originals, I’d say that at least the title track and “Underneath the Tree” have reasonable odds of remaining in the yuletide rotation five years from now. So does “One More Sleep,” the original lead-off track from Leona Lewis’ holiday offering, Christmas With Love. Lewis’ album has fewer new songs than Clarkson’s, but their sound is even more self-consciously Spector-y: Its second track is a “Winter Wonderland” that’s almost indistinguishable from Darlene Love’s version of 50 years earlier. Its cover art, too, is a throwback to the graphic design of the Mad Men era. Nick Lowe’s Quality Street — which shares this year’s “A Christmas album by who?” category with Kool & the Gang’s brand-new-though-you’d-never-guess-it Kool for the Holidays — contributes four worthy new songs to the holiday missal: My favorite, “A Dollar Short of Happy,” which Lowe co-wrote with Ry Cooder, is in the honorable tradition of forlorn yule standards like Charles Brown’s “Please Come Home for Christmas.” But they’re all too subtle to stand a chance of breaking through. You might hear one of them in a Starbucks, but broad cultural buy-in ain’t gonna happen. The Killers have released an original Christmas charity single every year since 2006, an admirable custom even if none of them have been as great as the first, “A Great Big Sled.” It’s a bell-ringing, hall-decking specimen of ’80s U2-style bombast with a chorus that sounds ripe for the covering by other artists. I would’ve loved to hear Mary J. Blige belt out this song on her new collection, A Mary Christmas, instead of sticking to the overfished dozen she’s recorded. (We’re good on “The Little Drummer Boy,” ladies and gentlemen, forever. Please just stop.) But “A Great Big Sled” has become a seasonal staple only to me, apparently. Ironically, the soundtrack album from his special A Colbert Christmas: The Greatest Gift of All, is composed, save for one cover, of all originals, and they’re some of the best holiday songs of the 21st century. (He and Jon Stewart duet on “Can I Interest You in Hanukkah?”) They’re funny, of course — but the Colbert tunes are also surprisingly relistenable, as would-be standards must be. They’re tart but absent the bitterness that makes most song parodies instantly wearying. “There Are Much Worse Things to Believe In,” written and performed by Colbert and Elvis Costello, isn’t even all that much of a parody. In fact, it implores listeners to trade in their cynicism for sincerity.